Superhero robot is here to save the day. With a cape and mask, he is ready to take on the bad guys. This is a custom order. Pick if you would like a star button or felt and embroidered initial on the front. Put what initial you would like in the "notes to seller" when you check out and I will confirm. Robot is about 4 inches tall sitting. 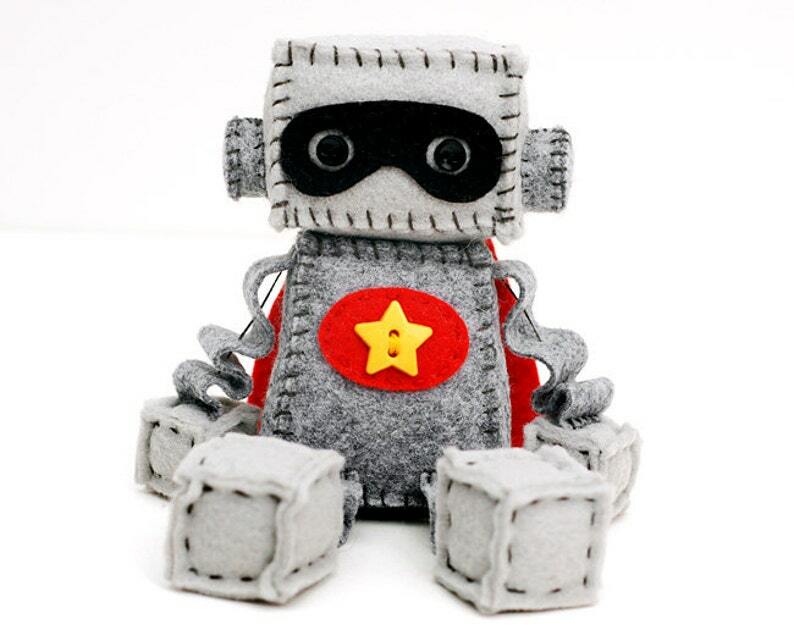 It is made of premium wool felt, cotton embroidery floss, and little plastic buttons for eyes. Robots are all handmade by me and one of a kind. Please expect slight differences.